The main objection on the block appears to be aesthetic, with residents complaining about the program’s bright blue, bank-logo–covered kiosks. “The notion of having Citi Bike logos … will go against the [landmark] character,” said Mr. Cheek. The truth of the matter is that by the standard raised by this lone resident, very little of what appears on Fort Greene streets fits the historic aesthetic. I biked through the area on my way home from work on Friday and quickly found examples of vehicles that are wildly out of sync with the brownstone character of this park block. 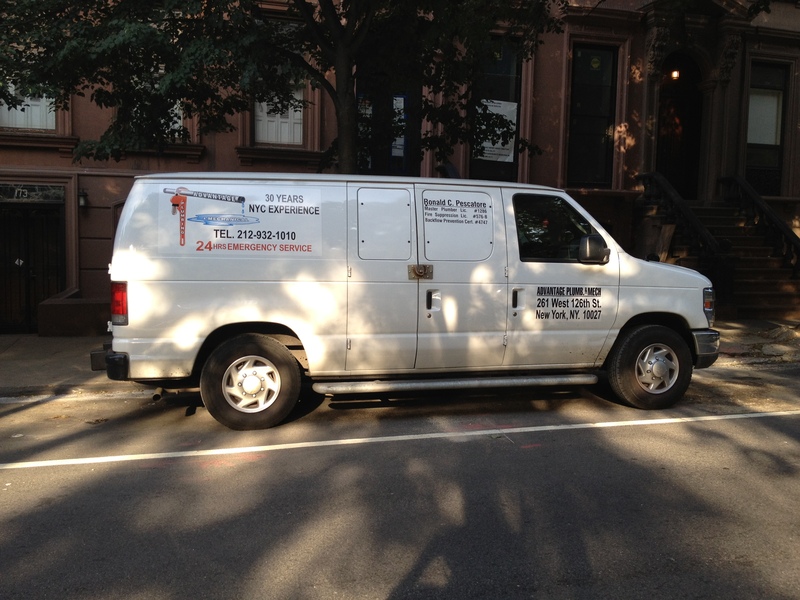 I’m willing to bet that this van, as much as ad for its owners business as it is a means of transportation, prompted no calls to 311 or the Landmarks Preservation Commission. Granted, the van itself is not a permanent fixture, but the parking space is; what comes in and out of it fits or does not fit the historic aesthetic to varying degrees that change with each alternate side parking day. This van could very well be replaced by a Model T from some automobile enthusiast’s collection, but it could also be replaced by the Oscar Meyer Weinermobile. Remember, bike share stations interfere with the neighborhood’s historic character, but a 1993 POS laden with bumper stickers is in keeping with brownstone Brooklyn’s historic aesthetic, so long as your history only dates back to the Clinton administration. The truth is that our city streets are lined with dozens upon dozens of corporate logos, from the Chevrolet bowtie to Audi’s four rings. Granted, none may seem quite as in your face as a big batch of blue bikes, but the cumulative effect of so many small logos on a neighborhood’s character is arguably the same, if historic accuracy is your thing. I guess it all depends on your point of view; I happen to think that the symmetry of a bike share station filled with bikes is aesthetically pleasing. Calling bike share stations — or, for that matter, bike lanes — and affront to history ignores the ever-changing nature of our streets and is, I suspect, largely a cover for despair over the loss of private automobile storage on public land. 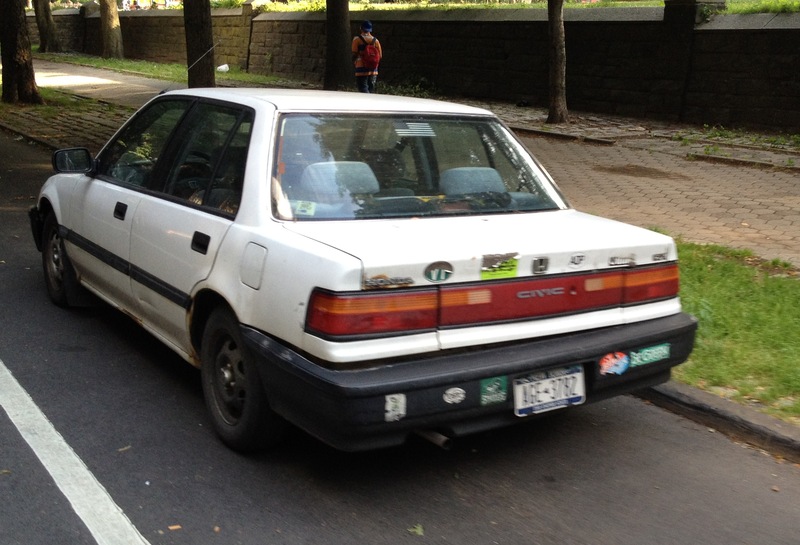 What really takes parking spaces away from good, honest Brooklyn motorists is not the occasional bike share station or traffic calming project, but cars with out-of-state plates, which made up approximately ten percent of the cars parked near the park when I rode by. And I’m willing to bet that most of them did not belong to people just visiting for the weekend. Bike share kiosks also don’t have really loud radios that rattle your windows, or modified exhaust pipes to let the world know of your machismo. Bike share kiosks are bringing people to the neighborhood to spend money in our shops and restaurants and not having to drive around looking for a parking space. Less IS more! As much as I despise the notion of free street parking, if the City is going to do it, they should at least do it right, especially with Barclays coming. Annual permits for residents with an annual fee of about $100. Enough of this out-of-state plate stuff. If you’re going to park here, on the street, for free (notwithstanding residential permit), then you should live here. And if you live here, then get your NYS plates. I’d even be okay with them charging far less or even nothing for RPPs, so long as the process forced you to register your car in NYS. Why? 1) NYS would collect needed money from licensing/registration fees. 2) It would make it more likely that drivers have the legally required minimum insurance requirements for the state in which they live and drive. Florida and Pennsylvania have cheaper requirements, which I suspect is one reason why you see so many FL and PA plates around Brooklyn. brooklynspoke, good analysis, but you missed a third point. 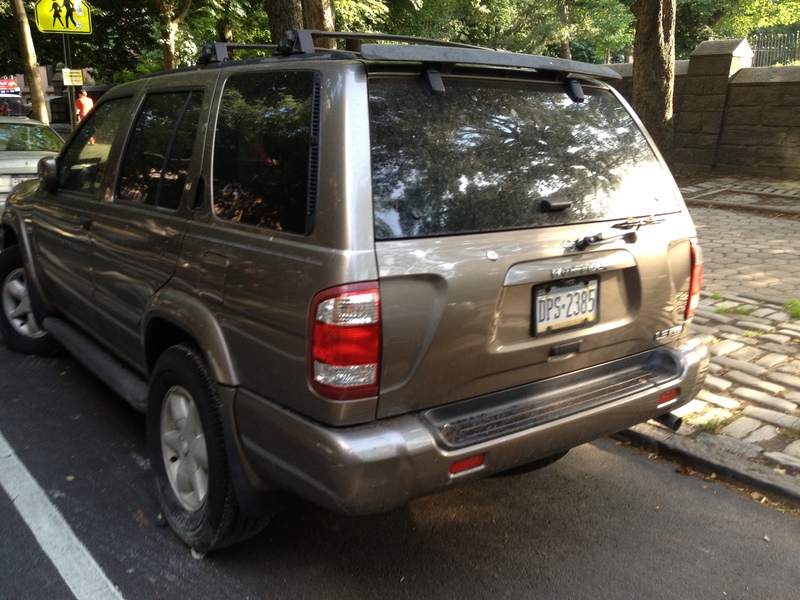 Instate NY license plates, but the cars are registered upstate in low priced insurance areas. It’s such a large difference in insurance rates that a few years ago it was cheaper for my 20 year old son to own, insure and use a separate car in Troy NY than to be added as a driver to our one car in Brooklyn. Two cars cheaper than one! Another source of income could come from selling daily parking permits to non-resident cars through the new electronic parking kiosks – possibly at off-street parking garage rates. There should be a practical, but not free way, for non-resident cars to visit the neighborhood.